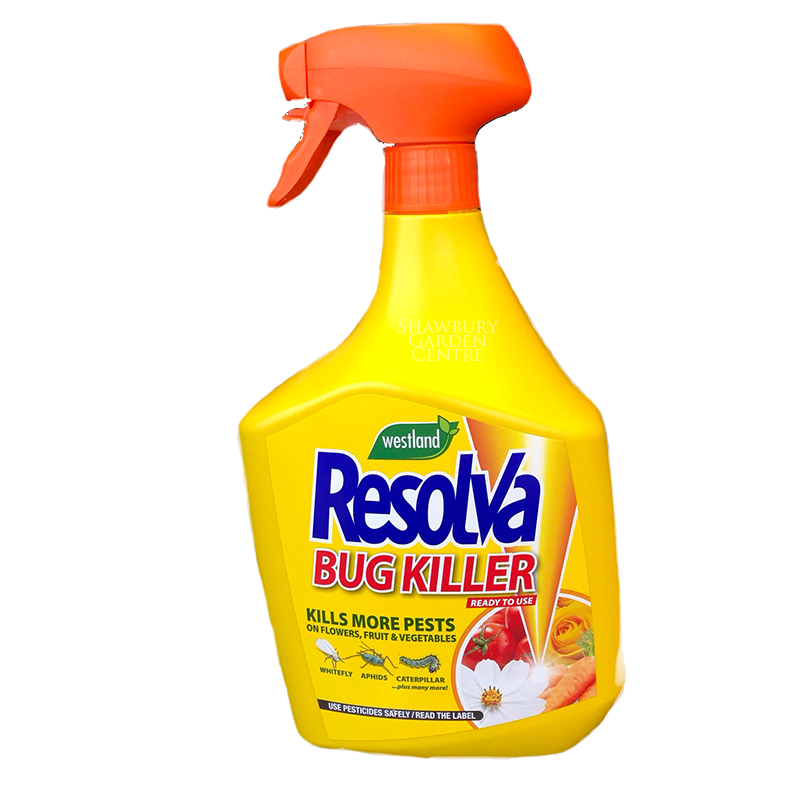 For use as a home garden insecticide. 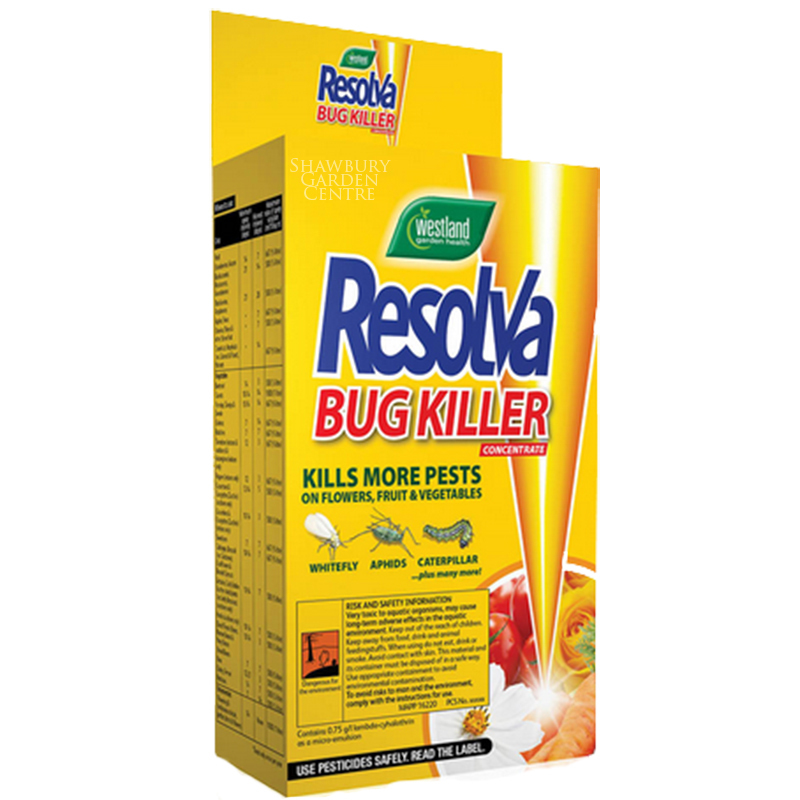 Resolva Bug Killer is a fast acting chemical which can be used to control a wide range of pests on over 30 types of fruit, vegetables and flowers. Aphids (greenfly and blackfly), beetles, bugs (lygus), blossom weevils, capsids, caterpillars, cutworms, cabbage stem weevil, clay-coloured weevil, carrot fly, leaf-curling midges, leaf beetles (including rosemary beetle and lily beetle), pea midge, pea moth, pea and bean weevil, pear sucker, sawflies, scale insects, thrips and whitefly. 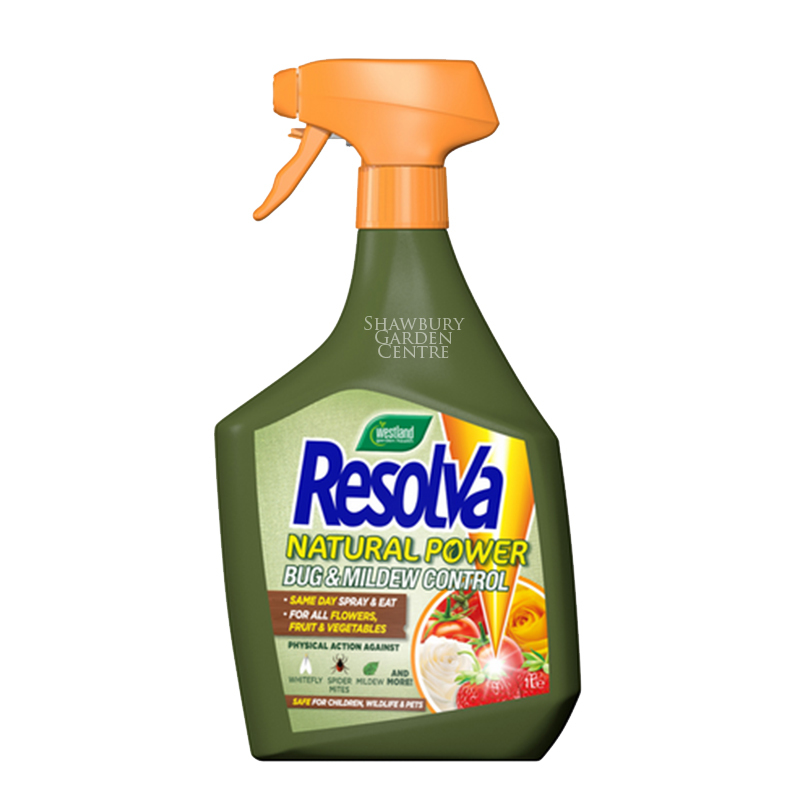 Resolva Bug Killer Concentrate also give a reduction in the numbers of mealybugs. Strawberries, Grapes, Blackcurrants, Redcurrants, Gooseberries, Blackberries, Raspberries, Apples, Pears, Cherries, Plums & other stone fruit. Chestnuts, Hazelnuts (inc Cobnut & filbert) & walnut. Beetroot, Carrots, Parsnips, Turnips & Swede, Celeriac, Radishes, Tomatoes (indoor & outdoor), Cucumbers & Courgettes (Zucchini), Sweetcorn, Cabbages, Broccoli (inc Calabrese), Cauliflowers & Brussels Sprouts, Lettuces, Curly Endive & other salad plants. Dwarf French Beans, Runner Beans & Navy Beans, Broad Beans, Peas, Celery, Fennel & Potatoes. Ornamentals, Flowering & Herbaceous Shrubs, Potted Plants & Flowers.